Playbill shares a sneak peek of Sharing Our Stories: The Eliza Project, directed by Hamilton's Morgan Marcell. Broadway Brews in Rolling Stone, Wall Street Journal and more! Audiofemme debuts Stabwounds new single "kills"
Baeblemusic Debuts Caitlin Mahoney's New Video "Keep Looking Back"
"a mix of Adele and Fiona Apple -- and she wraps her emotionally naked voice around an elegant melody and a gorgeous piano piece." Misty Boyce's Limits #1 on Hype Machine's Top Twitter Tracks! ScreamCreature's Craziest Thing on NEXT Podcast's Best of 2014! 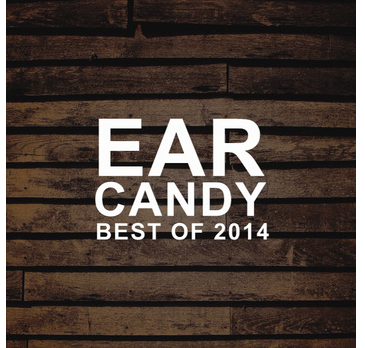 Ear Candy podcast sets a new record with Misty Boyce! The Huffington Post premiere's Misty Boyce's new single "The Life"
Baskery and The Nepotist Added to the MidPoint Music Festival Lineup! American Songwriter Debuts Baskery's New Video "Catflap"
GLIDE Magazine Premieres The Black Cadillacs new single "Radio Silence"
The Deli Debuts The Nepotist's New Video "Firehouse"
Lambkini debuts Jeff Taylor's single "Undead Lover"
Organelle EP by Jeff Taylor, produced by Thomas Bartlett- out 4.1.14 on Rockwood Music Hall Recordings. Artwork by Rawan Rihani. Jeff Taylor Profiled in Performer Magazine. The Village Voice profiles Joseph King and his upcoming new solo EP "Wanderlusting"
The Voice takes a candid look at Joseph's new EP and his decision to pursue a solo career- click here to check it out! "The track is a convergence of the different iterations of King’s past, blending surf reverb, staccato acoustic guitar and a splash of psychedelic keys with the hallmark of all of his work – accessibly sophisticated lyrics sung from that pained, yet hopeful place that only Joseph King can go." Jeff Taylor (Dumpster Hunter)'s Daytrotter Session debuts songs from his forth-coming vinyl EP and it is spectacular! The amazing alt-soul fusion foursome from Brooklyn releases their first live LP on November 19th- they celebrate with a release party at Rockwood Music Hall Stage 2! Jeff Taylor (Dumpster Hunter) was a featured guest artist with the LA Philharmonic in the World Premiere of Frank Zappa's rock opera "200 Motels" at the Disney Concert Hall - landing on the front page of the LA TIMES! Check out rave reviews for Dumpster Hunter's phenomenal LP Frustration in Time Travel in the Village Voice, FourCulture Magazine and BTR-TV. Dumpster Hunter - BTR Live Studio [ep255] from BTR Live Studio. Like this? Watch the latest episode of BTR Live Studio on Blip! http://blip.tv/btrlivestudio/watch Dumpster Hunter is the NYC-based quartet of Jeff Taylor, Mark Guiliana, Steve Wall, and Chris Morrissey.